The Cincinnati Zoo and Botanical Garden welcomed two little blue penguins, also known as fairy penguins, to the zoo family in late December. And more chicks are expected to hatch soon. 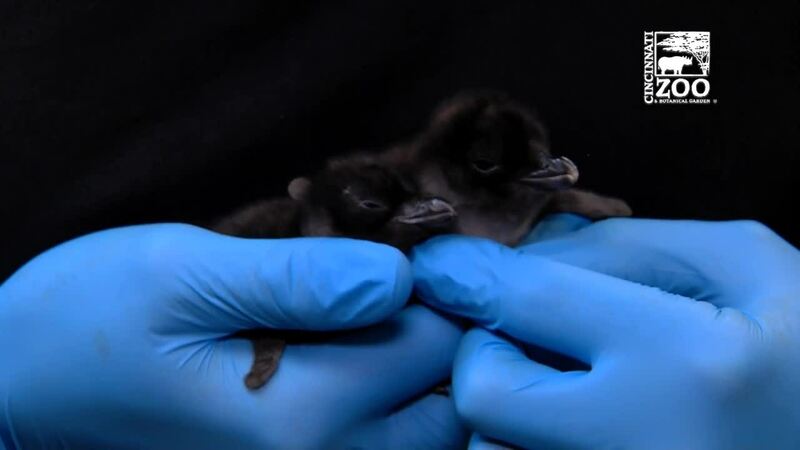 CINCINNATI — The Cincinnati Zoo and Botanical Garden welcomed two little blue penguins, also known as fairy penguins, to the zoo family in late December -- and now they have names. The zoo took to social media for name suggestions from zoo fans. The winning name, Pierogi, was given to the baby chick that hatched on New Year's Eve. The runner up, Toast, was given to another little blue penguin that hatched on Dec. 28. "We usually follow a theme when choosing names for certain species, and the little blue penguin theme is food and drink," said Cincinnati Zoo's associate curator Jennifer Gainer. "Since the chick being named was born on New Year's Eve, we got a lot of suggestions like Champagne, Dom, Bubbly, etc... We really liked Toast." The zoo has the largest colony of little blue penguins in North America, according to a zoo spokesperson. The newly hatched cuties will join the little blue penguin colony when they are about six weeks old. The colony is likely to grow even more in the coming weeks. According to the zoo, there are two eggs currently in the incubator. "We have more than 30 birds in the colony," said Cincinnati Zoo senior aviculturist Cody Sowers. 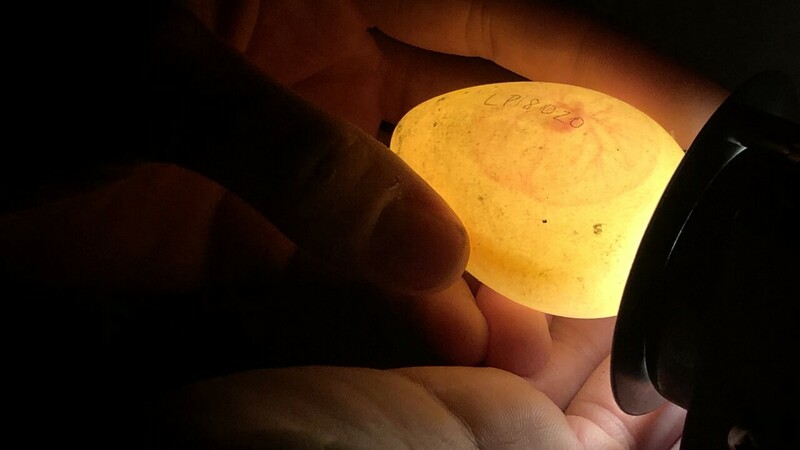 "Some of the more experienced pairs do fine sitting on their eggs and caring for young chicks, but the eggs that we ended up incubating were from first-time pairs that didn’t seem sure about what to do! That’s where we come in." Zoo visitors can see the penguins at the entrance to the Children's Zoo in the spring. The entire colony will have a new home in Roo Valley in the spring of next year. The chicks' arrivals were perfectly timed. It is Penguin Days at the zoo. Visitors get half-price zoo admission and can watch penguin parades on Mondays and Fridays through March 8.